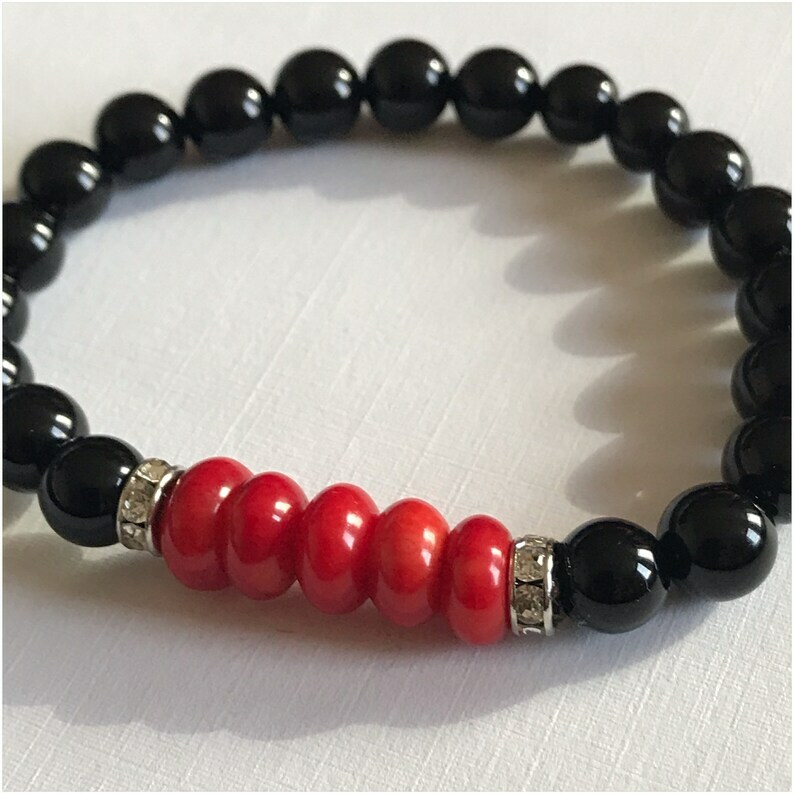 This bracelet is made with 8 mm onyx Gemstones and paired with red coral rondelle gemstones. It is paired with rhinestone rondelles. Made on stretch no clasp.